Warwick, Feb 28, 2019 (Issuewire.com) – If your company is in need of new JCP Teletrucks, finding the best for your business needs is ideal. Of course, these do not come with a small price tag which makes purchasing the highest quality pieces extremely important. It is even more important for you to purchase from an amazing company when you want to look for used options. An amazing company that is in the industry today is DSW Handling who can take care of all of your Teletruck needs. 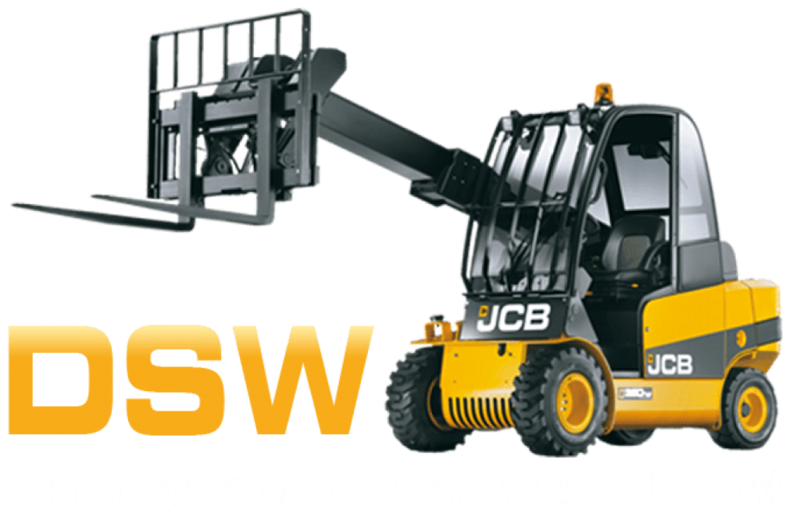 DSW Handling sells and contract hires JCB Teletrucks along with new and used forklift machines of many capacities. You will find a large selection of heights and makes when you shop their large collection. They take quality extremely seriously in both their new and used selection, offering fully refurbished options at a lower price point than many other companies. Each of their refurbished options is fully redone both mechanically and cosmetically. The machines have redone by DSW Handling look as new as possible, with customization options available of your company if you would like. They equip each machine that they work on with only genuine parts and filters designed for that specific machine. They have a spray booth in their workshop that can include custom colours that match your exact business logos or themes. This amazing team has over 49 years of experience, meaning they know exactly how to give you the Teletrucks that you need. At this time, you can shop over 200 machines that they have in stock. You can view these options by request, but they feature several of them online that you can view more about very easily. If you have a specific machine that you need, you can request a quote on the work you need completing. Of course, they also have an amazing team available that can speak to you directly. With their help, you are guaranteed to get the machines you need for your company. Dayne, Area Sales Manager of DSW Handling, commented, We know buying a machine for your company is not always want but is a very big need for many industries. We want your machines to be of the highest quality and we know when you purchase from us the process will be an enjoyable one. We have an extremely high trained and experienced team that will ensure that your machine is up to the highest standard. To learn more about our Teletrucks, please feel free to contact a member of our team today. About Us: DSW Handling sells and contract hires a selection of JCB Teletrucks, as well as, new and used forklift machines. Each used machine they sell is completely refurbished guaranteeing the quality of the machine. Combined, their amazing team has over 49 years of experience guaranteeing you will receive the best help and products possible when you work with this amazing company. They carry hundreds of machines in stock which you can view upon request. With their expert help, your purchasing experience will be an enjoyable one. To learn more about their services, please visit their website today.